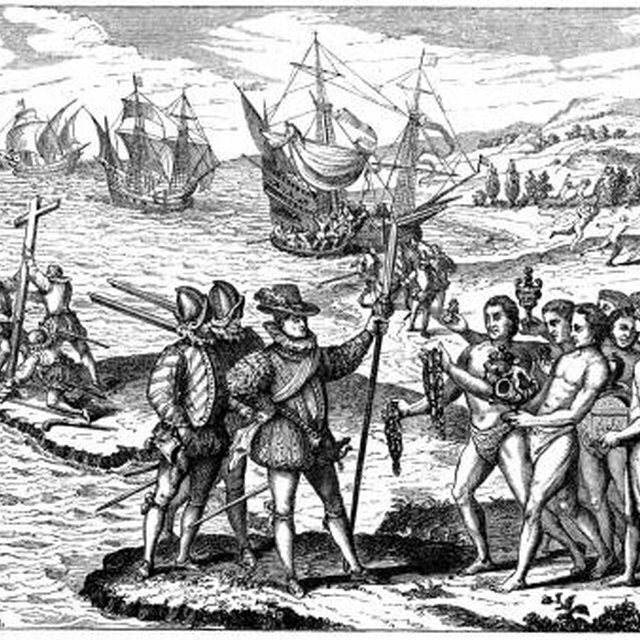 Henry VII of England commissioned John Cabot's voyages of discovery. 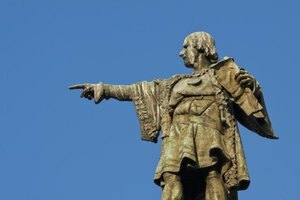 John Cabot, the first European to land on the North American mainland since the days of the Viking explorer, Leif Eriksson, was born Giovanni Caboto in Genoa around 1450. 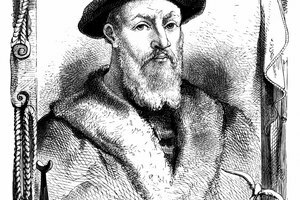 His petitions for support largely ignored in Spain and Portugual, he traveled to England and, in 1496, received the backing of Henry VII for a westward voyage of exploration. Cabot undertook two journeys from England, making landfall on the first and perishing on the second. Cabot actually made an aborted attempt at a journey before he successfully crossed the Atlantic Ocean. He set sail in 1496, but returned shortly afterward after reportedly having disagreements with the crew, running into bad weather and running out of food. He tried again the following year -- 1497 -- on a small ship named Matthew and with a crew of 18 to 20 men. 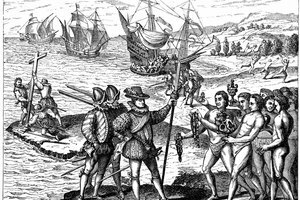 His ship sailed in May, and although disagreement exists as to whether he left at the beginning or end of the month, the date he landed is generally agreed to be June 24, 1497. He returned to Bristol on August 6. The crossing and return were the first and last parts of Cabot's journey, while landfall and exploration along the coast were the middle two parts. 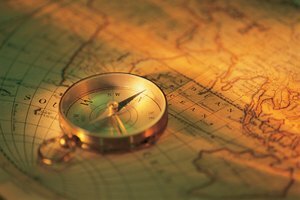 He kept no records of his activities, although the times of his departure and return indicate he spent about a month exploring once he made landfall. Because of the absence of a ship's log, most of the information comes from three contemporary writers, Raimondo de Soncino, Lorenzo Pasqualigo and John Day, none of whom accompanied Cabot. Their accounts contain discrepancies, but they agree that, upon landing, he raised the cross and the banners of both England and Venice. The exact route that Cabot took, and the location of his landing, are something of a mystery. He probably sailed from Bristol to the coast of Ireland, but he could have headed westward from either Durnsey Head or Achill Head, which are separated by 3 degrees of latitude. The departure point is important, because it helps to ascertain his route, which could have ended with a landing as far north as Labrador or as far south as Cape Breton Island on St. John's Day, June 24, 1497. Cabot dubbed the area he had discovered "Terra Nova" or "New Found Land." 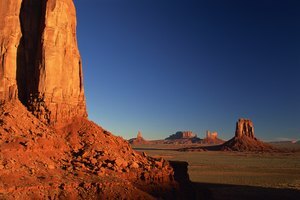 When he landed, Cabot found signs of human activity, but saw no one. After claiming the land for England, he got back in his ship and sailed along the coast, discovering abundant stocks of cod in the process. He may have sailed completely around the present day island of Newfoundland before setting a course homeward from some eastern point, such as Fogo Island. His return trip took 15 days, and when he arrived with news of a new land, he was received as a hero. The king supplied him with five ships for his return journey the following year -- a journey from which he never returned. Deziel, Chris. "What Happened During the Journey of John Cabot?" Synonym, https://classroom.synonym.com/happened-during-journey-john-cabot-23231.html. Accessed 18 April 2019.